On its own cheese is unbeatable and delicious eaten simply with bread or fruit. 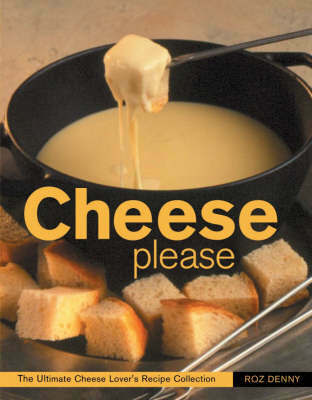 But cheese is also an excellent cooking ingredient, with some types, fresh cheeses for instance, even better cooked than uncooked.This book features over 70 cheese recipes from around the world: Mexican Tacos, New York style Lasagne, Hot Halloumi with Roasted Peppers from Cyprus and Italian Porcini and Parmesan Risotto to name a few. There are cheese dishes for every occasion: soups, savouries and snacks; salads and vegetable dishes; a wide array of main dishes; pastries, pizzas and pasta; and desserts and bakes to finish off. Each recipe comes with easy-to-follow, step-by-step instructions and photography that make preparation a breeze.